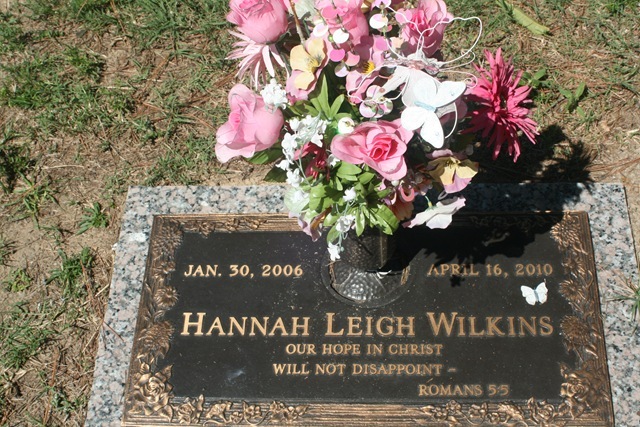 6 years ago, I would awake in the middle of the night to pray for a girl whom I did not even know – just a newborn babe at the time, Hannah Leigh Wilkins was born with a heart defect – in dire need of a new one to have a chance at life. And our great God gave her one, on her own father’s birthday. That story stands so crisp in my mind. And little did I know, that as I anguished in many days and nights of prayer on behalf of Hannah and her family, that they would become dear friends and neighbors years later. Little did I know, that in God’s sovereign plan, sweet Hannah would be one of my little girl’s friends. They were like sisters. 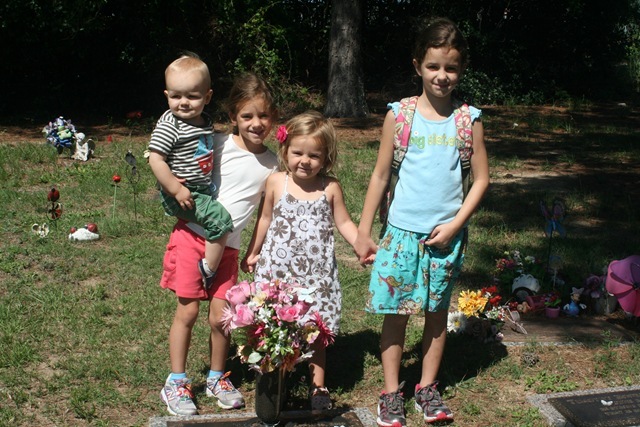 Hannah, Jada and Maria spend alot of time together – we even started our own little preschool co-op with the girls. And little did I know, that in God’s sovereign and good plan, that Hannah would be ushered out of this world to meet her Jesus before the rest of us 2 spring-time’s ago. Words cannot express what it has meant to live in authentic community with Hannah and her family. God has used them in a million ways to shape my heart and the heart’s of our children who had to watch their little friend be buried. Occasionally, we have had the great joy and privilege of returning to the ground where Hannah’s earthly body lay, to join hands around her tombstone and take in those words, “our hope in Christ will not disappoint” from Romans 5:5. 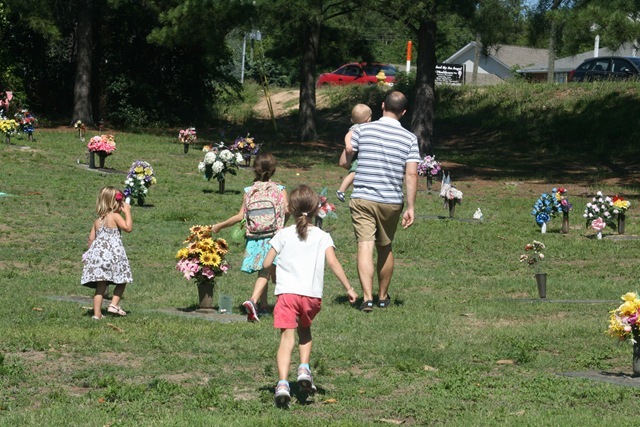 There is nothing more beautiful than taking your children to walk the hard beaten paths of a cemetery, to cross your feet over the bodies of thousands of people, some infants, toddlers, middle-age and elderly….to wonder about their lives and what really matters. Our hope is in Christ and so was Hannah’s.